Blood Quest - an action-packed Fantasy MMORPG! 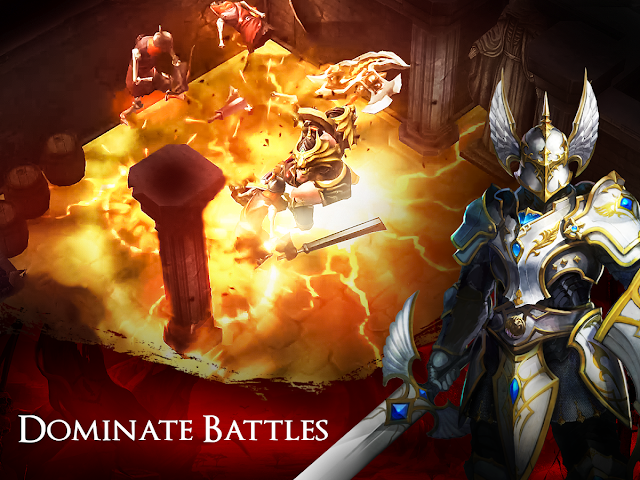 The apocalypse is coming – unless a hero rises up to eradicate the invading demons and conquer the darkness! Team up with other players and slay hordes of demons, battle raid bosses, or take on powerful world bosses. For a different kind of challenge, show off your PvP skills in 1 on 1 duels. Whatever you choose to do, do it with your friends! Four unique classes are at your fingertips. Looking for fast-paced attacks? The guardian is for you. Prefer to fire away from range? Switch to the Hawkeye. Never be stuck with just one class – choose whatever best fits the situation. Customize your character with individual equipment and change their appearance throughout the game. Strengthen your skills and pick a mercenary to support you in combat! o Summon all of your strength to clash with the demon forces. Level up your character and refine your skills! o Play as one of four unique classes: Mage, Berserker, Hawkeye or Guardian. Switch classes at will to adapt to the situation. o You will never have to fight alone. Recruit mercenaries who will support you against your enemies! o Team up with others to fight mighty raid bosses, or do battle against new world bosses each week. o Test your skills and mercenaries against other players with the fast-paced PvP action at the Arena! o Collect and improve your weapons, level up your mercenaries, and obtain the strongest gear.